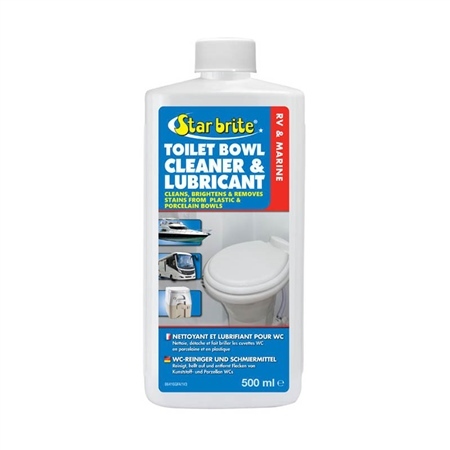 Removes stains and water deposits from bowls quickly and easily. -Will not damage seals or valves. - leaves bowl fresh and clean. -No hard rubbing or scrubbing required. -Will not interfere with the action of most holding tank treatments. Squirt cleaner around top of bowl and allow to run down sides. Use enough product to wet the inside of bowl. Let stand for 5-10 minutes before wiping with brush or cloth. Flush to rinse clean. Safe for use in all recreational vehicle and marine toilets. Will not harm plastic, rubber seals or metallic parts.